Some of the best moments from the 2013 DCI World Championships. Congratulations to the 2013 DCI World Champion, Carolina Crown. Keep in mind, these are NOT all of the most memorable moments. If you like, buy the Blu-Rays, come out and see these amazing corps plus many more corps live next summer. 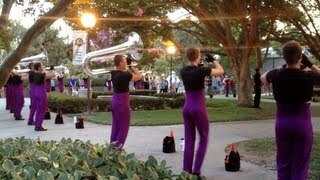 @ Riverside City College in Riverside, CA.
. What is Drum Corps International? From modest beginnings more than three decades ago, Drum Corps International (DCI) has developed into a powerful, nonprofit, global youth activity with far-reaching artistic, educational and organizational influence. Through the annual DCI Tour and more than 40 World Championships, Drum Corps International provides entertainment to millions through live performances and nationally-televised events. Drum Corps International is Marching Music's Major League™. 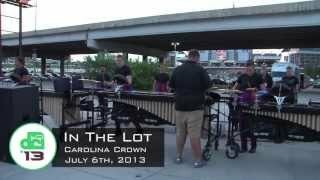 In the lot in Denver, CO, with the Carolina Crown Front Ensemble as they prepare for their first Tour of Champions show of the season on July 6th, 2013. What a cool culture they have! They are from Thai land. 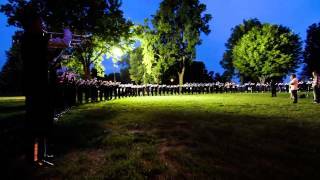 This is a video of the Cadets performing their 2013 show "Side by Side" at NightBeat on July 27th 2013. They placed 3rd with a score of 90.85. Phantom Regiment at DCI Minnesota performing their show "Triumphant Journey". The Madison Scours perform their 2013 show in Bowling Green, Ohio. 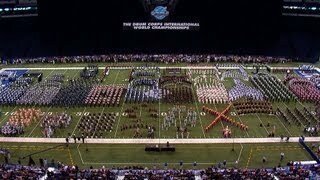 2013 marks the 75th anniversary for the Madison Scouts and the 65th anniversary for The Cavaliers. They honored each other in Michigan City by playing their corps songs for each other, and the crowd in attendance. 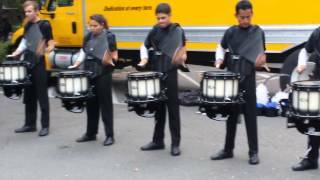 June 22 - The drumline plays through several excerpts of their show, while warming up for their performance in Akron, OH.
. 2013 Cadets Tenors - LEARN THE MUSIC! Joe Roach (percussion staff) and Jesse Backes (drum sergeant) detail the preparation for a season with The Cavaliers.